Retiring prime minister Kevin Rudd stood in the forecourt of Parliament House Canberra and recalled with great emotion the morning on which he had welcomed the members of the Stolen Generations for the Apology. At the time of the Apology, there was no doubting Rudd's control of the situation and his commitment to 'closing the gap'. This time, there was no mistaking his sense of solidarity with the Stolen Generations. He knew there and then what it was to be dispossessed, alienated and outcast. For a moment, a gap really had closed. Last week Julia Gillard put to rest a dispute with major mining companies. They'd complained that they were not consulted, that the Government should negotiate with them rather than telling them, that one size does not fit all, that they were entrusted with other people's money and were thus to be respected and spared sovereign risk. This complaint is not unlike the recurrent complaint of the traditional owners of this land: we are not consulted; government won't negotiate with us, we are just told what to do; one size does not fit all; and we are entrusted with the sacred patrimony of this land — a patrimony constantly subject to sovereign risk by our colonisers. Like Rudd, the miners have had the opportunity to gain further insight into the perspective of the First Australians. 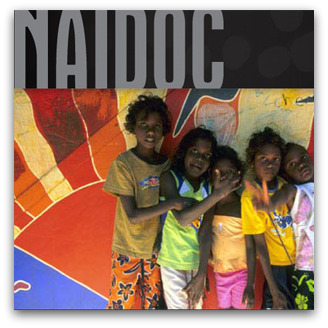 The theme for this year's NAIDOC Week is 'Unsung Heroes — Closing the Gap by Leading Their Way'. The inquests into the deaths of Mr Doomadgee on Palm Island and Mr Ward in Kalgoorlie and the Commonwealth Government's rejigging of the Northern Territory Emergency Response (NTER) have highlighted the breadth of the ongoing gap in the quest for justice and equality this past year. As a nation we are still learning to listen to those unsung heroes representing their mob at the table. The NTER was first instituted without any meaningful consultation with the Aboriginal people affected. Various aspects of that response were racially discriminatory. The Australian Parliament has now passed amendments, minimising the discriminatory effect by applying compulsory provisions about income management of welfare payments to non-Indigenous recipients as well as Indigenous recipients living on the targeted communities. The Northern Territory Emergency Response Redesign consultations identified that income management had delivered discernable benefits. While there was a divergence of views, the majority of comments said that income management should continue ... people frequently said that income management should apply to all welfare recipients across Australia. [T]hat a 'statement of impact on Aboriginal and Torres Strait Islander peoples' be provided to the Federal Parliament when the intent is to legislate exclusively for those peoples, to suspend the Racial Discrimination Act 1975 (Cth) or to institute a special measure. The statement should explain the object, purpose and proportionality of the legislation and detail the processes of consultation and the attempts made to obtain informed consent from those concerned. Apart from the income management scheme, which is designed to apply in a non-discriminatory fashion to any citizen in the Northern Territory within the specified categories, the Government has redesigned a number of the other measures dealt with by this bill so they are more sustainable and more clearly special measures under the Racial Discrimination Act. This bill confirms the beneficial intent of the five-year leases to improve the delivery of services and promote economic and social development. The bill ensures that the leases are permitted to be used for these purposes and not for other uses such as mining. It also ensures that administration of the leases must also follow guidelines on the use of land and be conducted in a manner which respects Aboriginal people and culture. The Government is committed to the progressive transition of the five-year leases to voluntary leases and the bill obliges the Commonwealth, at the request of land owners, to negotiate voluntary leases in good faith. Imagine if government had tried this approach with miners. Imagine if other Australians had their land compulsorily acquired by a government pleading that there was no other way to deliver services to them. Yet again, Indigenous Australians have been denied the opportunity to speak for country and for themselves. The challenge with the Intervention is to heed the voice of those speaking for country and for themselves as we decide together how best to provide work, education and affordable services to remote communities. In 40 years we will still be lamenting the unintended consequences of 'us' making decisions for 'them' across a racial divide. Some gaps can and should be closed immediately. To close gaps in outcomes, you must first close gaps in process. Fr Frank Brennan SJ is Professor of Law at the Public Policy Institute, Australian Catholic University, and Adjunct Professor at the National Centre for Indigenous Studies, Australian National University. This is an extract from his address Speaking for Country, Speaking for Self delivered yesterday at the Melbourne College of Divinity Centenary Conference. Ah but Frank, in this nation where we beat up the poor, the displaced, the aborigines, the gays, the lesbians and the disabled and mentally ill we have to impose our wishes to make them "conform" to being just like us. And you still think this pack of craven cowards will respect anyone's human rights? As Frank's words hit home I have just posted a media release from the Brisbane Catholic Justice and Peace Commission urging Catholics to hold politicians to account on Indigenous policy. I wish this sort of discussion was held in the mainstream press. I remember when Fr Frank Brennan visited the troubled Port Keats,N.T.community back in 1989 and 1990. Back then,as he does now, he provided a ray of hope for the hopeless. Unlike the fanfare surrounding token visits from Territory and Federal Ministers,Frank's visit to this remote community was extremely low key and yet greatly appreciated by the traditional land owners who were being exploited then by mining companies in collaboration with the Territory and Federal authorities. Does this story sound familiar?The Wadeye mob respected Frank because of his willingness to listen, his integrity and his humility. Sadly, these traits are lacking amongst most contemporary politicians. Kevin Rudd is the only Leader in this country who has ever made this apology which was a long time overdue. No other leader today would be bothered. Now he is gone and what are we left with. I think Kevin Rudd is a true human being who stood for human decency. i am not surprised that Colleen Fuller recommended that I receive this news as I had given a Social Issues talk to our Catholic Women's Legue group with a song about Eddie Gilbert an Australian cricketer and his treatment by the cricket authorities of the day. Just today I was complimenting the Rugby League on the presentation of the National Anthem at the State of Origin game and the girl there told me that they had had a lot of feed back some of which was far from complimentary. We have a long way to go in the racism battle. Having worked in the Kimberley in WA for eight years I really appreciated this article. I was very moved when Kevin Rudd made the apology. I find it hard to understand how things have not changed after all the years of talk. Thank you. Thank you for this, I wish it were read and acted upon by at least those who embrace Christian or humanist principles! Gaps can be closed, it is the attitude and the courage to be true to one's principles that is needed!Who will speak out as you are? Who amongst Australians who say that they are for A FAIR GO FOR ALL, will stand for justice? "The NTER Redesign consultatiosn identified that income management had delivered discernable benefits". Didn't this policy represent a discriminatory attack on personal freedoms? Yet those affected perceived that it had "delivered discernble benefits".Isn't this rather the acceptance of realism by the indigenous community and its collective mind's ability to attain truth and certainty regarding this matter? Touche, Marilyn Shepherd! It's not just the gaps in outcomes and process that are stark here, Frank; it's the gaps in our Catholic discourse that subtly exclude and qualify, sidestep and avoid the inevitable concessions we must make in broadening our perspective, our base and our strategy. Much as I love and applaud your epic contribution to 'Indigenous' justice and human rights, this is how you came across quite recently in response to a question about this, raised by a member of the St Mary's South Brisbane Catholic Community in Exile! Thank you, ES, for a timely discussion and also to hear again the voice of Irlande Alfred, an inspirational advocate for social inclusion in Catholic schools over many years.